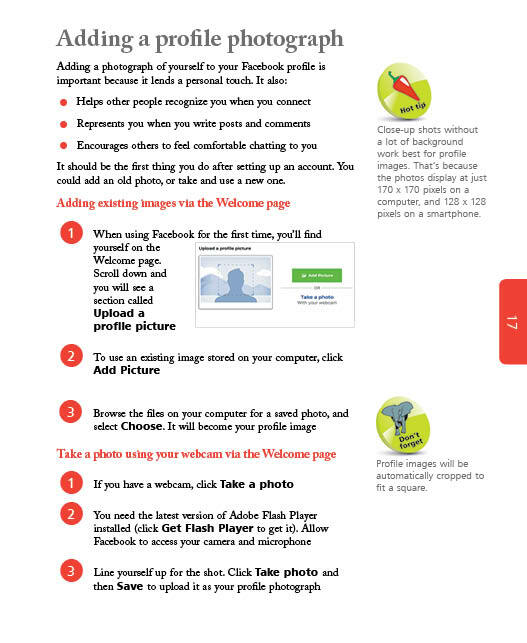 • Setting up an account and posting on Facebook, whilst maintaining your privacy and staying safe. • Having fun perfecting and sharing photos and videos. • Creating Facebook Groups and Pages, including your business or charity Page. 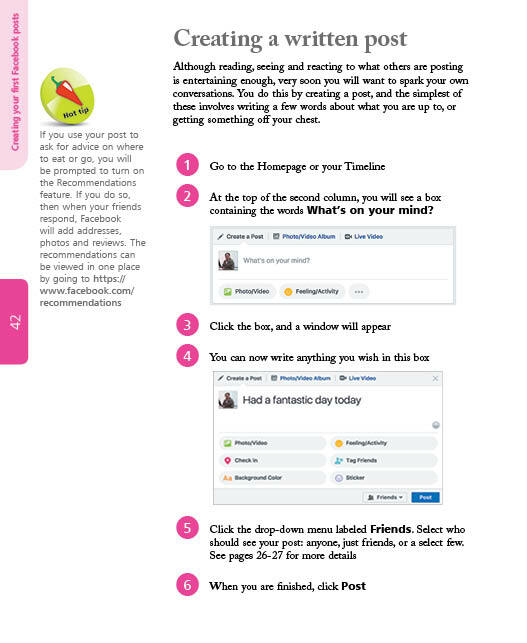 • Saving time by using Events to invite friends, and to organize your social life, in an instant. • Buying and selling items using the no-fee Marketplace. 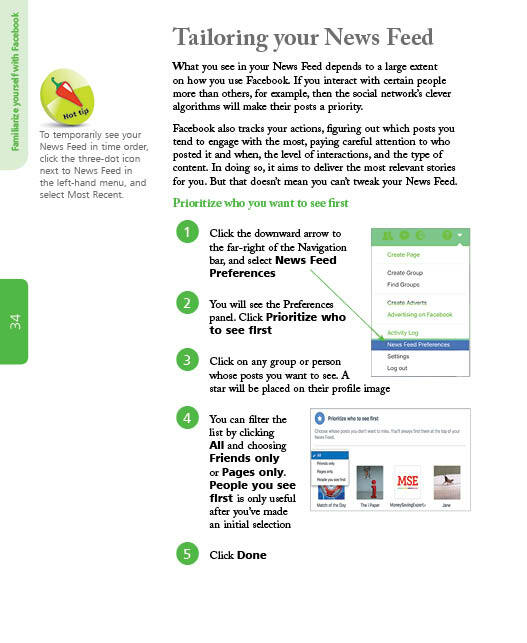 • Eliminating irrelevant adverts and annoying posts from your News Feed. • Using the free messaging service, Messenger, to send private messages, and make phone and video calls. • Learning about Facebook Live, and the television apps. 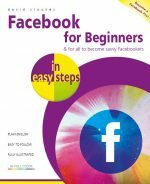 Even if you are a veteran Facebook user already, you're sure to learn something new with this jam-packed book. David Crookes is a journalist who specialises in writing about technology and videogames. He began his career writing for Amstrad Action in 1994 and he has since written for The Independent newspaper, the London Evening Standard, ComputerActive, Web User, Micro Mart, Computing Made Easy, iCreate, games™, Retro Gamer and many, many more. 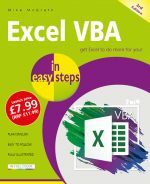 He has also authored Cloud Computing In Easy Steps and Clever Stuff You Can Do Online To Make and Save Money In Easy Steps. In addition to his writing, he curated Videogame Nation, an exhibition celebrating the rise of gaming, which toured the United Kingdom.